Palm Harbor Pond view Home. Two master bedrooms, one with bathroom shower and one with bathroom tub. split plan plus Florida room. Very light and cheery kitchen with lots of cabinets opening into Florida Room and eat in kitchen/lounge area. Living room dining room combination. Tile roof in 2004, A/C 2014 , water heater 2018, one updated bath with 2 new vanities and Laminate floors in 2010, fenced yard. Appliances in 2008 and 2009 -Washer in 2010. 3 Newer solar skylights, 3 fans. Non evacuation zone, Flood panel reads X zone, optional $70 HOA. 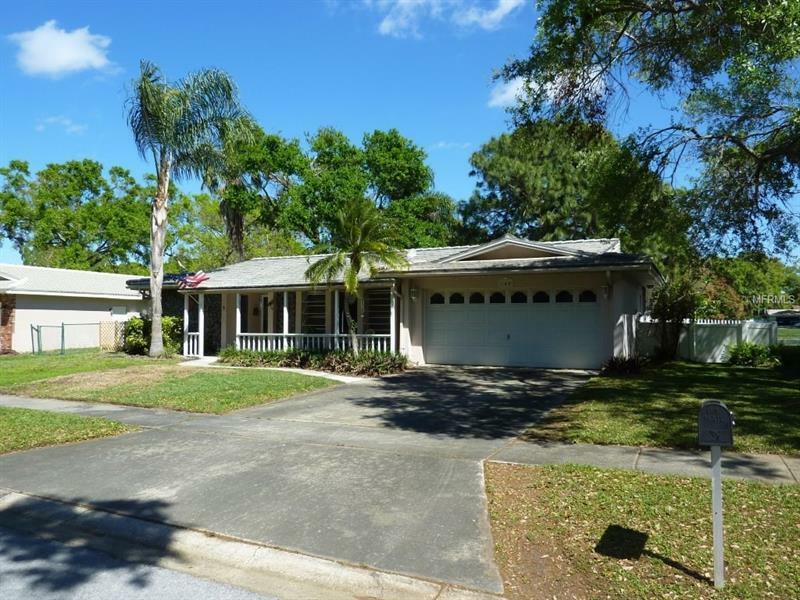 Walking distance to Palm Harbor Middle, and Palm Harbor High noted for International Baccalaureate and Magnet Medical Arts. Convenient location to TRIP Advisor this year Top Beach in Country Clearwater Beach. Also minutes away from Honeymoon and Caladesi Island Beaches. Pinellas Trail about a mile away for biking, walking, skating, great restaurants Palm Harbor, Dunedin, Safety Harbor, Tarpon Springs, St Petersburg and Tampa International Airport is about 45 min.